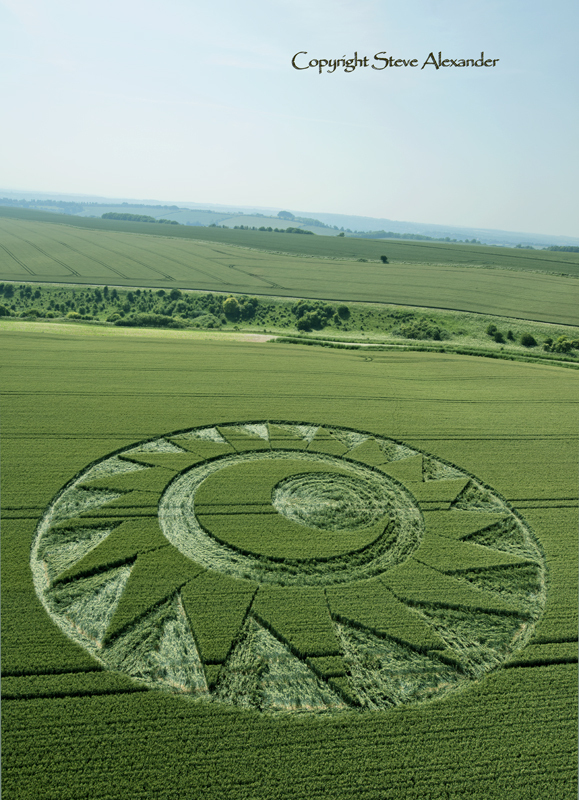 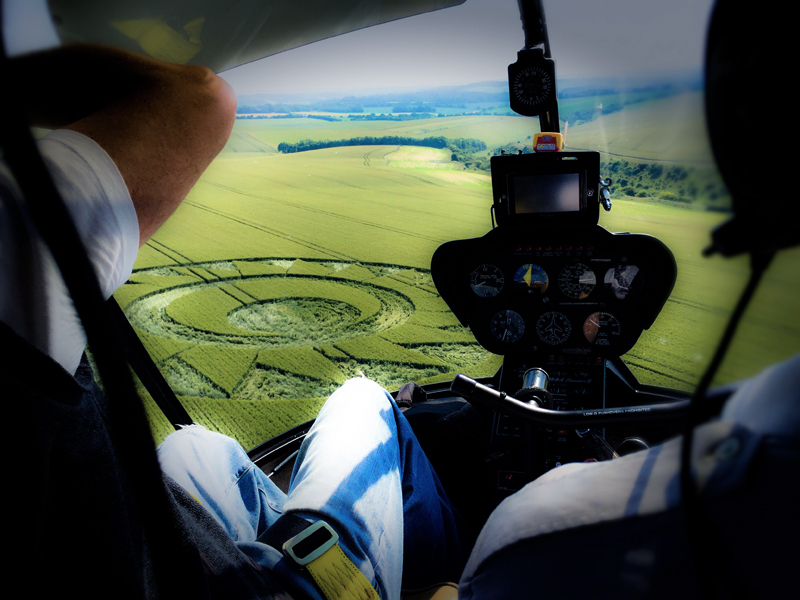 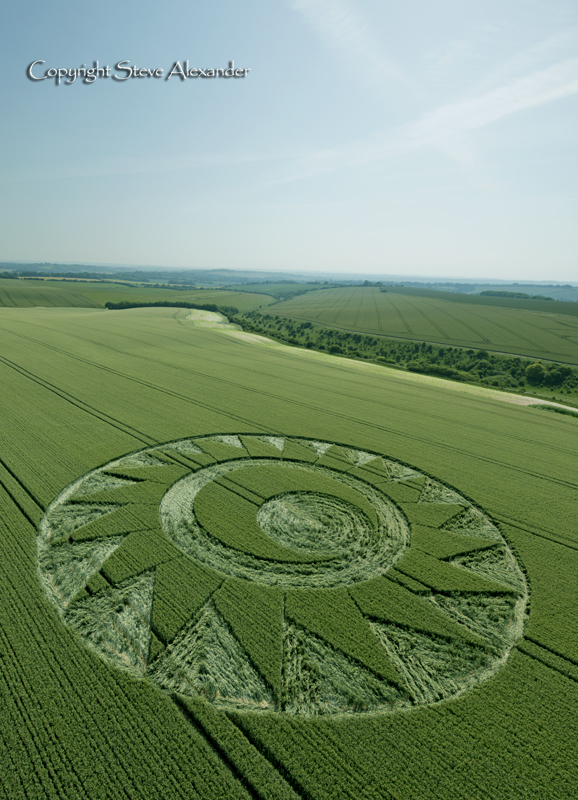 This part of Hampshire has a long crop circle history with some of the earliest recorded crop circles appearing there in the 1970s and 1980s. 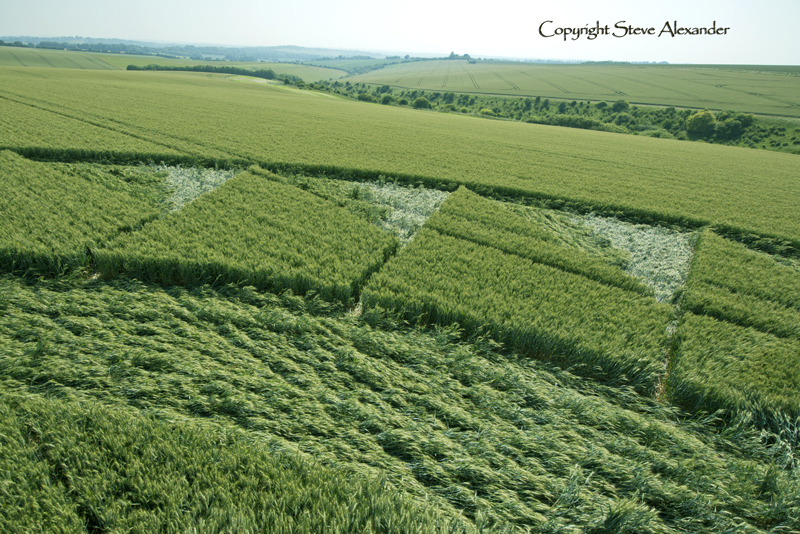 The central feature of the landscape here is the Cheesefoot Head (or Matterly Bowl) which is a stunning natural amphitheatre that affords spectacular views of the surrounding countryside. 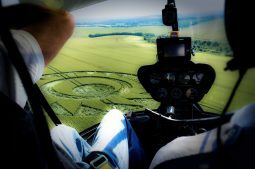 In years gone by the Bowl was the location for several spectacular crop circles, but it is no longer planted with crops and now plays host to the Boomtown Fair music and culture festival each summer in August. 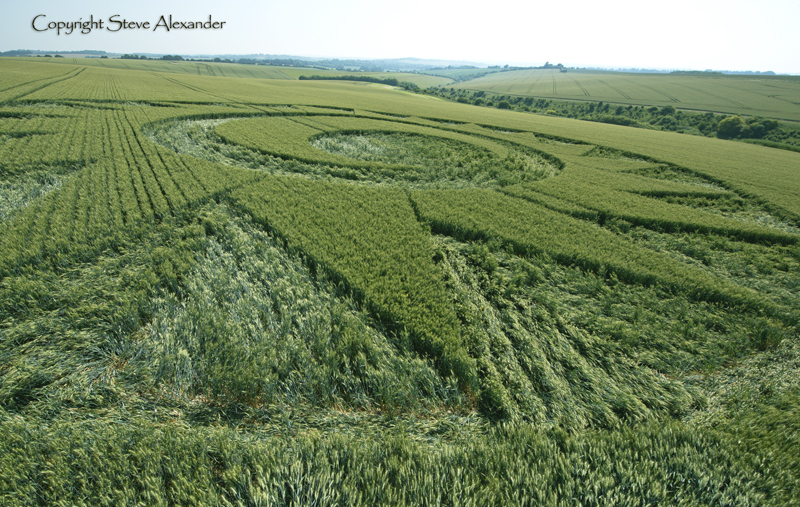 This crop circle is located to the south of the amphitheatre on a tract of land called Longwood Warren, that would have been part of the estate once belonging to the now demolished Longwood House (read more here). 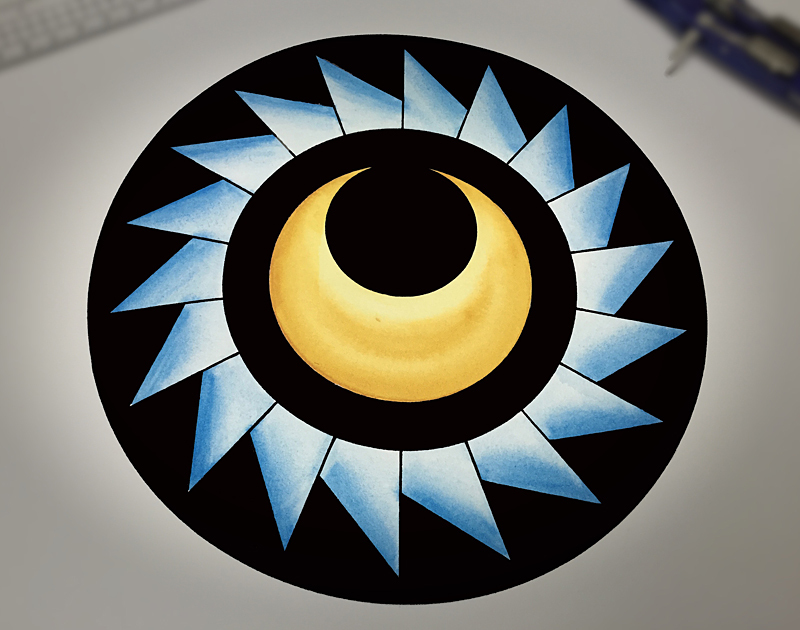 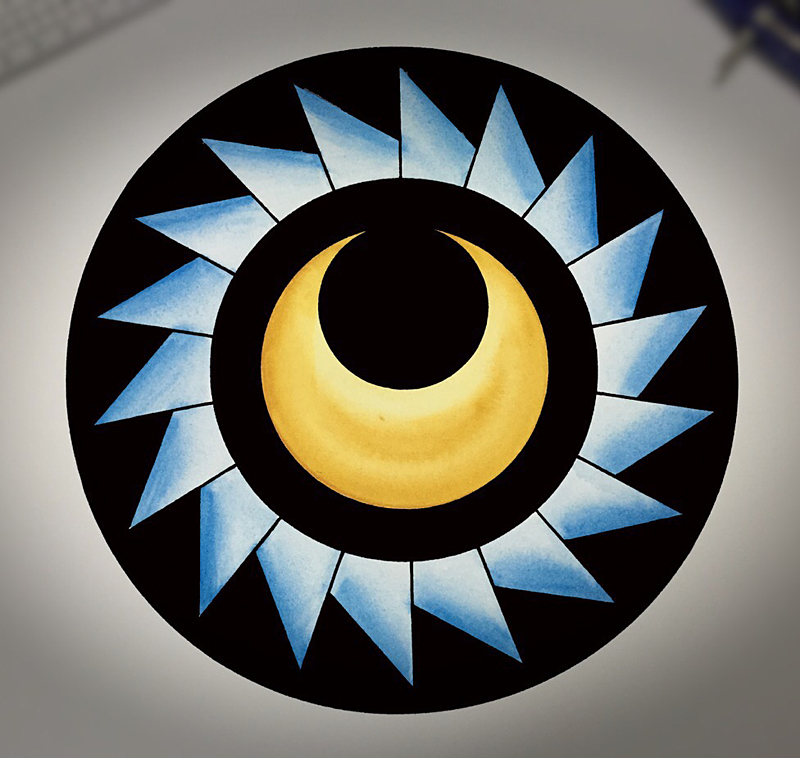 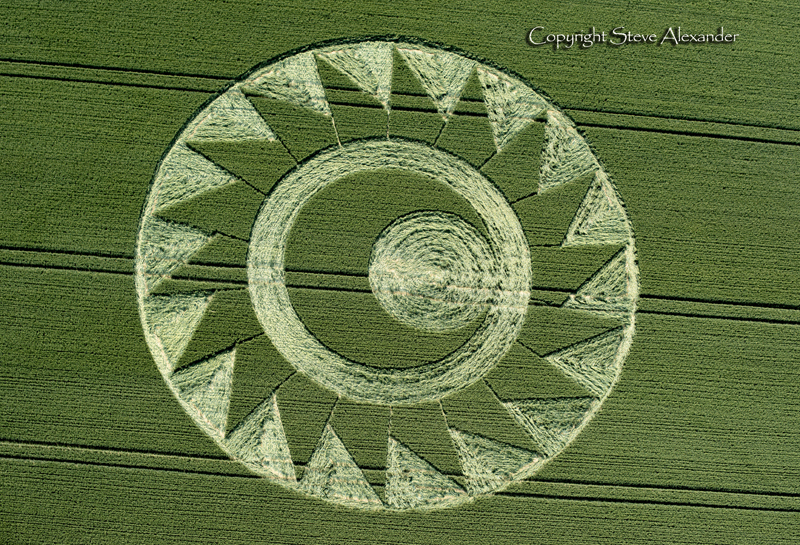 This circle appears to be a motif based on the conjoining of the sun and moon – some immediately associated it with the coming eclipse on August 21st 2017 – which will be a total eclipse visible from some parts of the United States. 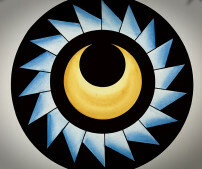 More broadly speaking, this marriage is a union of Divine Opposites – Sun and Moon – and then all other seeming opposites. 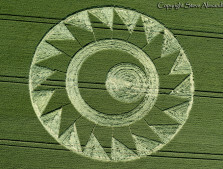 At it’s heart it is the integration of opposites leading to a new third state. 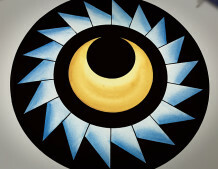 This aspect of the design is in keeping with many others that hint at the transcending of duality into some new perception or way of thinking. 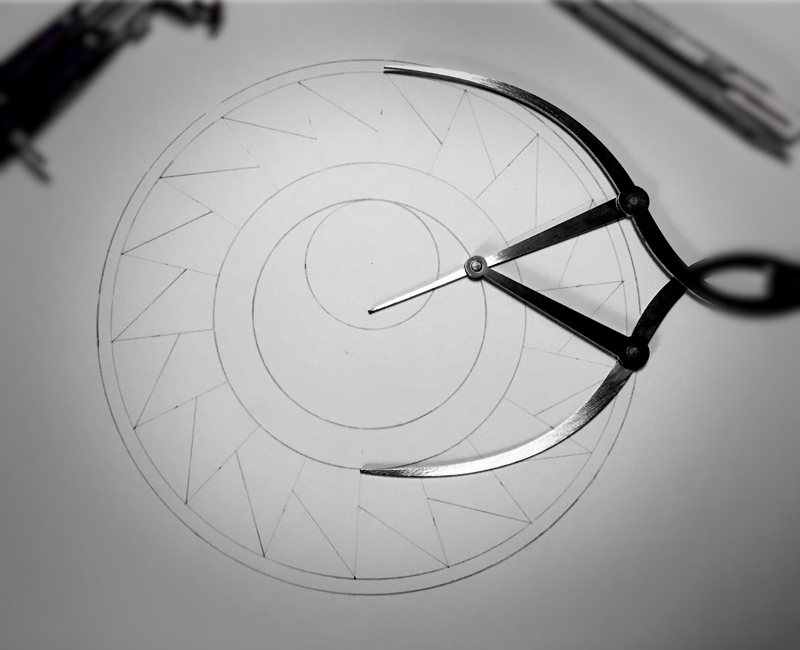 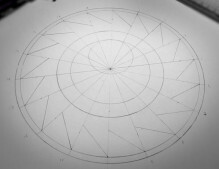 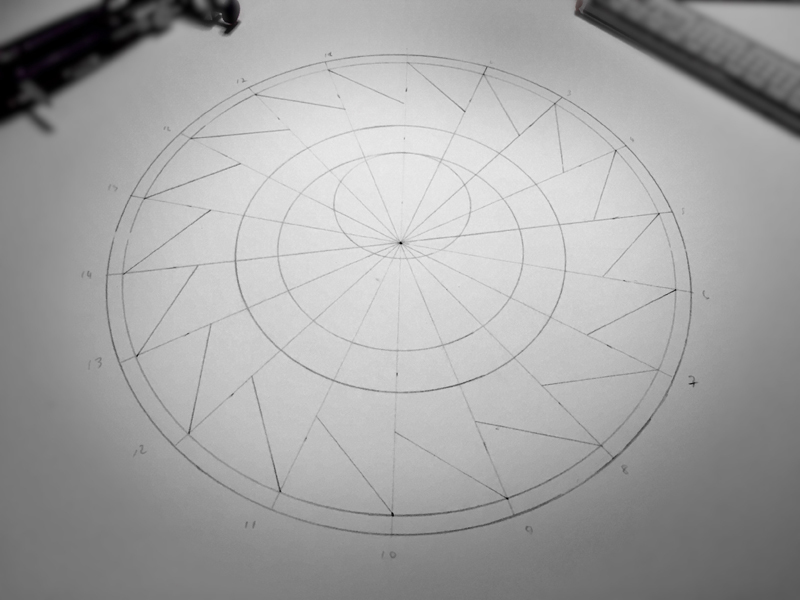 This design is eighteen-fold. 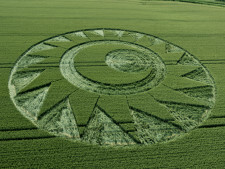 The 360 degrees of the circle is divided by eighteen to create the flames or teeth around the outside. 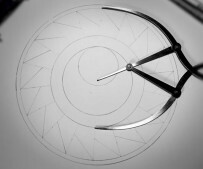 The edge of each tooth is created by connecting every 6th point. 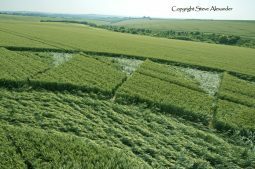 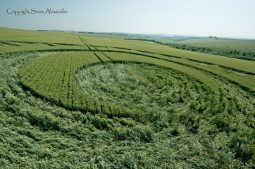 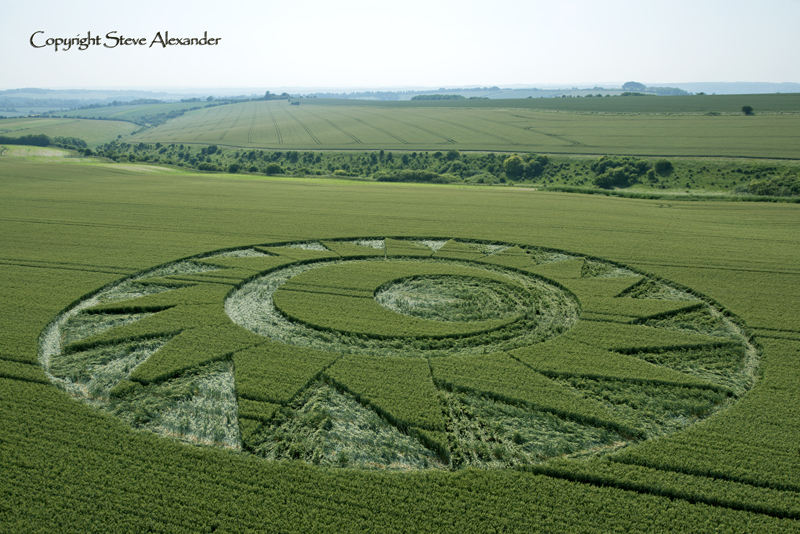 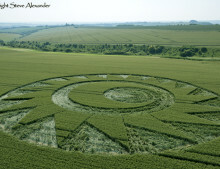 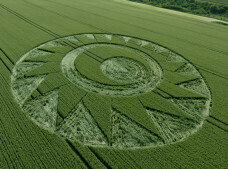 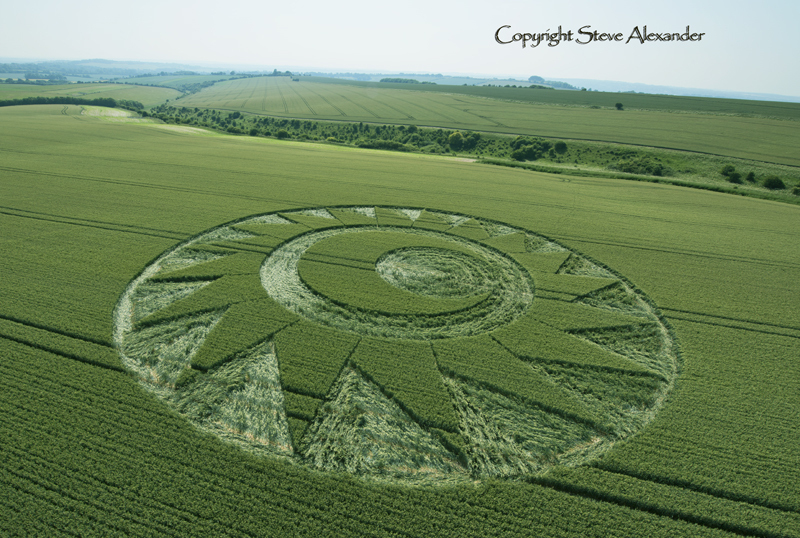 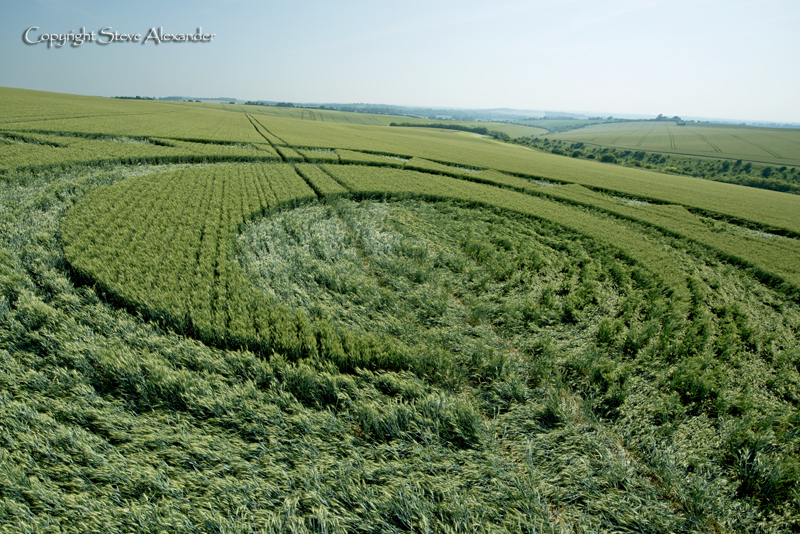 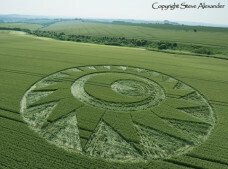 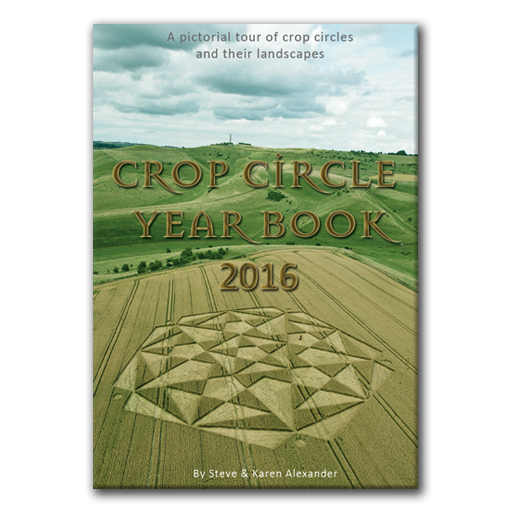 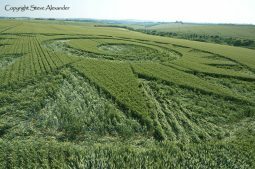 We have seen eighteen used quite often in crop circle design – it has obvious links to 6-fold and in some cases 12-fold.